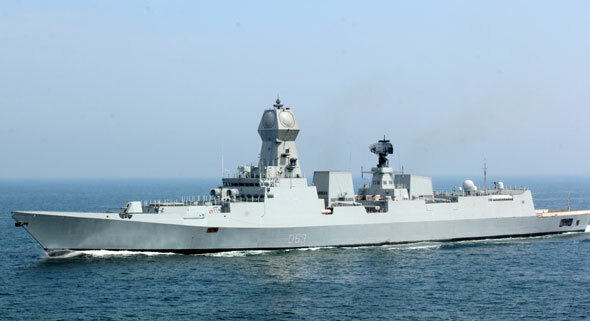 August 19, 2014: The Indian Navy's first P15A guided missile stealth destroyer INS Kolkata was commissioned into service by Prime Minister Narendra Modi today in Mumbai. 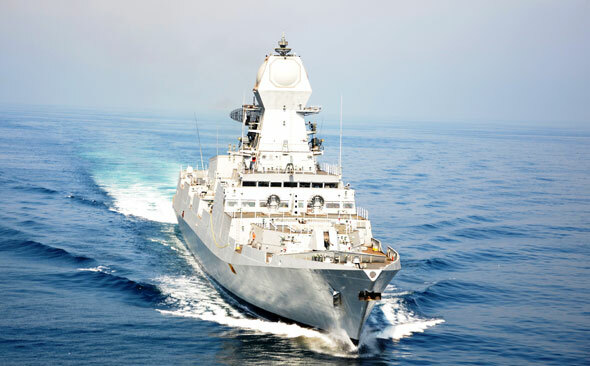 The vessel, with a crest bearing the iconic Royal Bengal Tiger and Howrah Bridge of its namesake eastern city, will be followed by two more ships of its identical class and four more of an improved P15B type, involving improvements in systems and weapons. 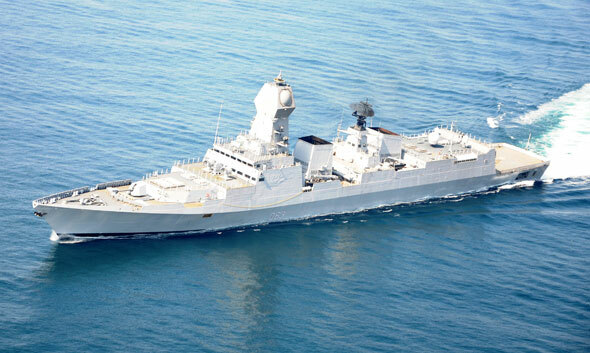 INS Kolkata will be operational under the Western Naval Command. 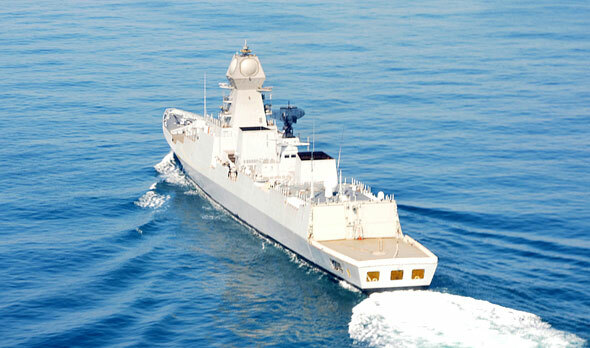 The ship was handed over to the Indian Navy in July following sea acceptance trials. 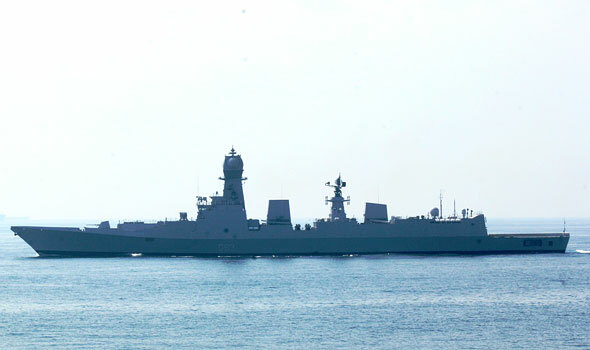 The destroyer is armed with the BrahMos supersonic cruise missile system as well as other weapon systems. 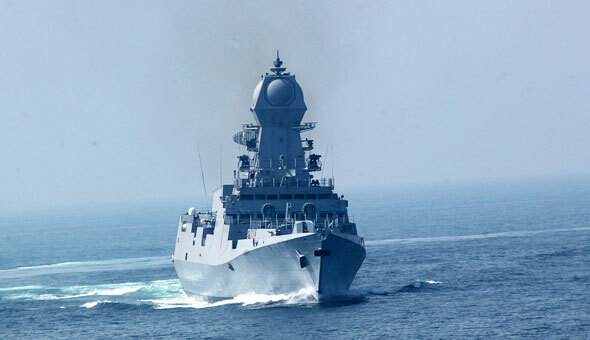 Its air defence weaponry will improved in a phased manner over the next two years, according to the navy.